The Red Kite is a very German bird. More than half of all Red Kites are currently breeding in Germany. For this reason Germany has a strong responsibility for the species. Sadly, the Red Kite is in trouble: since the early 1990s, the number of breeding pairs in Germany is decreasing. In order to halt the decrease, stakeholders from nature conservation, land care and science have come together and formed the project Red Kite – land for living. The project focuses on consulting and cooperating with land users in nine regions in seven federal states of Germany. The project focuses on developing more wildlife-friendly habitats within the arable landscape, on safeguarding breeding areas and maintaining trees for breeding. In every project region there is a team of consultants functioning as a link between nature conservation and farmers, foresters as well as communities and other land users. Since the Red Kite is specialized in open, arable land, most measures are from the agri-environmental schemes of the federal states. The project is also acting politically and is urging federal authorities and other players to set up viable schemes. 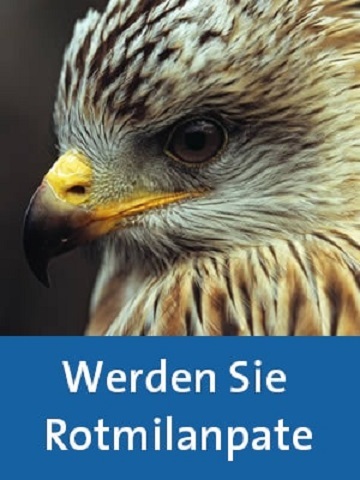 Starting in 2013, the Red Kite Project ends in 2019 and is mainly funded by the German Federal Authority for Nature conservation within the framework of the National Biodiversity directive.